What's a Meet Up? A meet up location is a place where Bike to Work Day commuters meet to ride together to their destination, whether that's their workplace or a Bike to Work Day celebration. Check the Bike Buddy directory too. Are you holding a Meet Up on Bike to Work Day 2016? Complete this short form to let us know. Open to public. 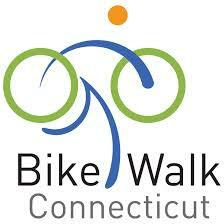 At 7:15 AM riders will leave to get to the downtown Hartford Bike to Work breakfast. Granby, CT, corner of Hartford Av, Rt 189S and Bank St. (Windsor Fed Savings) at 6:15am, arrive at bike event at 7:45ish. Manchester, corner of Wyllys St and Highland St across from Highland Park Market on the bike path, 6:30am. Will be going West on Charter Oak Greenway to Keeney St.
West Hartford at Veterans Memorial at corner of N.Main and Farmington Ave. All Cycle commuters must RSVP with me prior to 4PM on May 25th, otherwise I will not stop to look for you. Meet at 7:15, arrive at event 8:00ish. I can meet others along Farmington Ave., or other nearby locations between West Hartford Center and downtown Hartford by special arrangement.